Thank you for discovering Chocolate Pizza Company where our gourmet chocolate specialties have been a favorite for business and personal occasions for nearly three decades. 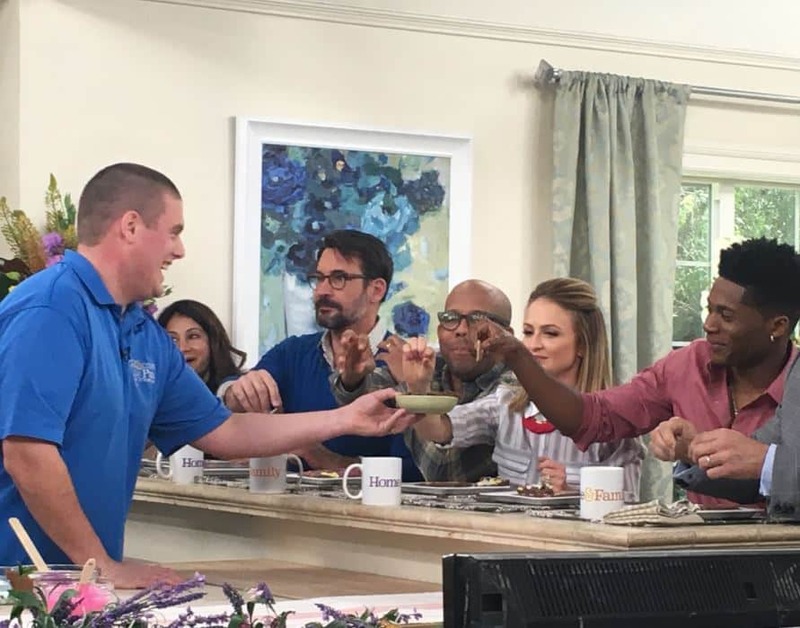 Our owner, Ryan Novak, started working here when he was 15, mopping floors and washing dishes but dreaming of one day taking the company to new heights. In 2010, at age 21, that dream of owning the business became reality. Today, we’ve transformed a small town chocolate shop into an emerging national brand. 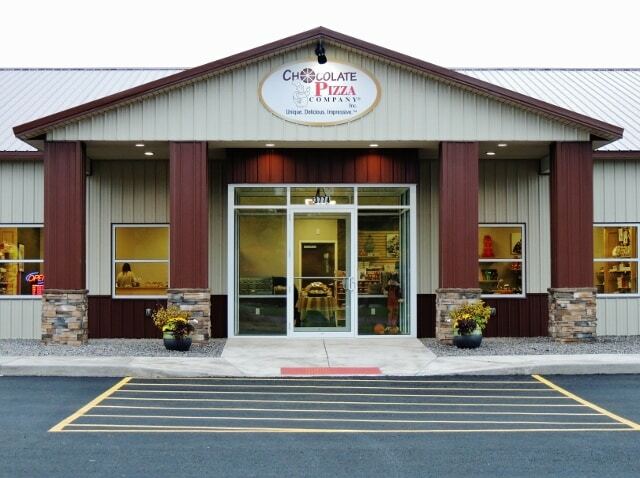 In 2015, Chocolate Pizza Company moved a couple miles outside the village of Marcellus to more spacious acreage on NY Route 175 between Skaneateles and Marcellus where Ryan built a beautiful, new production and retail facility that reflects the company’s dramatic growth. Featured in major magazines like People, Forbes and Chief Executive and nationally on Hallmark Channel, CNBC, CMT, Food Network, NBC, ABC and internationally on Discovery Channel India and Food Network Canada, our signature and trademarked – Chocolate Pizza® and Peanut Butter Wings® – leads a line-up of over 100 treats that are unique, delicious, impressive. We use the highest quality Swiss-style chocolate and blend that gourmet chocolate with homemade English toffee to create a tasteful masterpiece. 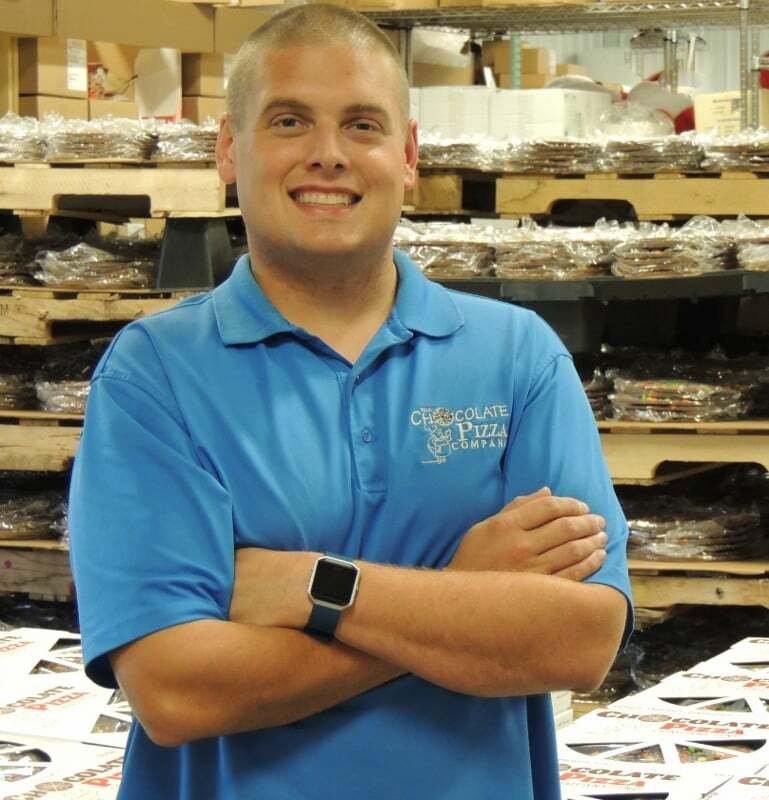 Proudly family-owned and operated, we have a wonderful team of skilled professionals that create amazing confections. Whatever the occasion, business or pleasure, Chocolate Pizza Company is the perfect choice. between Ultimate Goal Indoor Soccer/Lacrosse and NAPA.